Nick Olivari reports today in the Register-Star that the Hudson Police Department has opened an investigation into alleged trespassing on Colarusso property: "Police probe alleged haul road trespass." Coming just days after Gossips published photographs of the haul road that called into question the veracity of P. J. Prendergast's statement to the Greenport Planning Board that the road had not been impacted by Superstorm Sandy ("The water went up, the water went down"), my immediate thought was there might be a connection. That turns out to be a somewhat ego-fueled post hoc ergo propter hoc fallacy. 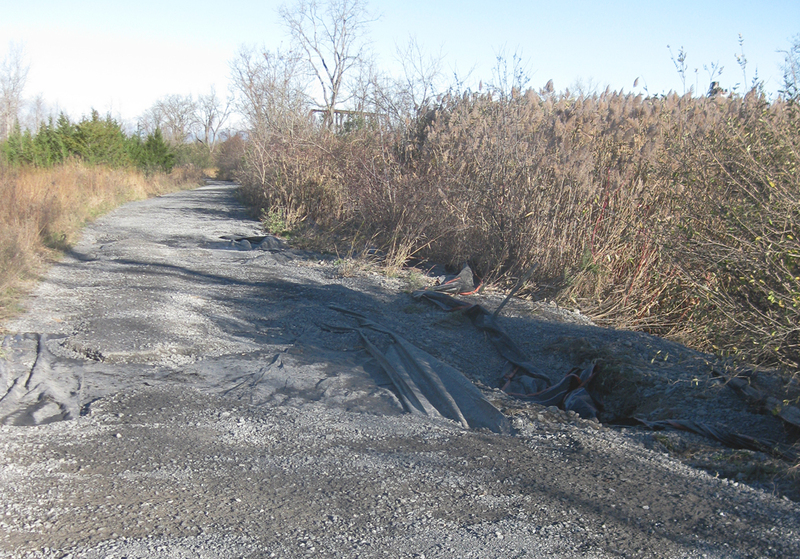 The pictures showing the haul road after Superstorm Sandy were taken in 2012. The statute of limitations for trespassing in New York is three years. Besides, A. Colarusso & Sons didn't acquire the property from Holcim until late 2014. Gossips Note: The picture accompanying this post was taken by Gossips in 2011, from the shoulder of Route 9G. Hudson is competing once again with the ten other cities in the Capital Region for $10 million in Round 2 of Governor Andrew Cuomo's Downtown Revitalization Initiative (DRI). Last Wednesday, Gossips reported that the area targeted for revitalization was the waterfront and just about everything west of Second Street. Tomorrow night, at a special meeting of the Common Council Economic Development Committee, the DRI application will be discussed with the public. Sheena Salvino, executive director of Hudson Development Corporation, issued an invitation on Facebook, which read in part: "Come . 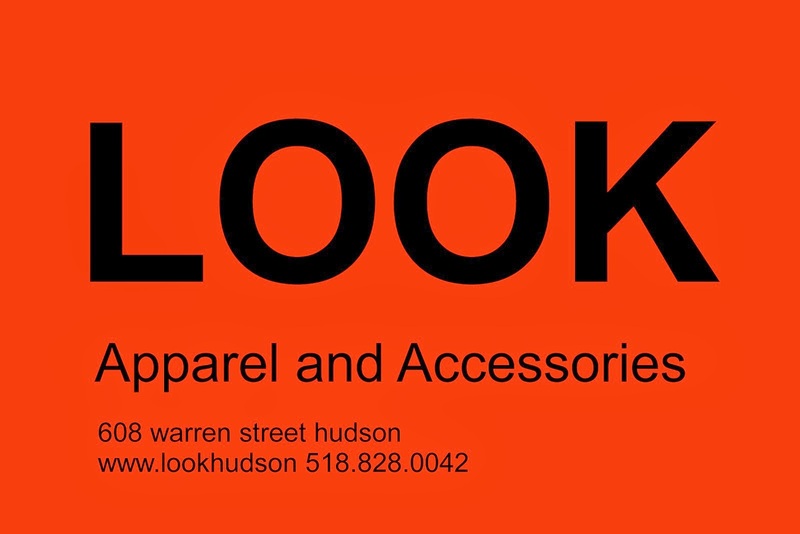 . . talk with us about this application, the revitalization area, the highighted projects, and help Hudson have the best chances at success by giving insight & feedback!" The meeting takes place at 6 p.m. at City Hall. Although the cold and damp weather belies it, we just marked the unofficial start of summer. Tomorrow there is more evidence that summer has begun: the Upstreet Market returns for the season. Tomorrow and every Wednesday through October, from 4 to 7 p.m., vendors will assemble in the Public Square, also known as Seventh Street Park, providing vegetables, fruits, eggs, meats, cheeses, bread, baked goods, prepared foods and more. So, despite tomorrow's dismal weather forecast, grab an umbrella and help the Upstreet Market kick off its season. On May 14, 1917, the Hudson Evening Register announced that New York and New England Cement Company was making land and seed available to its workers to plant gardens. 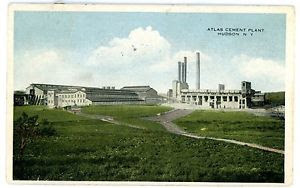 On May 29, 1917, the newspaper reported that the company, now called Atlas Portland Cement, was helping its employees during time of war in another way. The Atlas Portland cement company continues to do its share toward the conditions which confront the nation. It has already donated a large section of tillable land to its employees, where about 200 of them have started vegetable gardens, the tracts being large enough to supply each man with plenty for family use during the summer and for a good store for next winter. The company put the land in shape and is aiding the "farmers" in various ways. 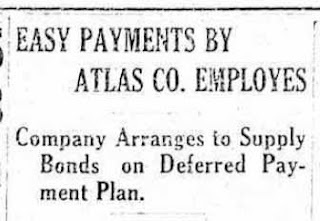 Arrangements have now been made by the Atlas company officials whereby any of their employees may purchase Liberty Bonds in any desired amount, the Atlas company furnishing the money necessary for the purchase of the bonds, which money is to be paid back by the employees in either a ten-month or a fifteen-month period, the interest on the deferred payments being the same as the interest that the bond bears. Many of the Atlas employees at Hudson are subscribing to this loan, which is very gratifying to the Atlas officials. Earlier this evening, News Channel 13 reported on the effect ICE raids are having on local businesses in Hudson and Columbia County: "Columbia Co. business owners: ICE raids negatively impacting local economy." 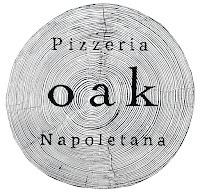 One of the businesses featured in the report is Oak Pizzeria Napoletana, in the 500 block of Warren Street. 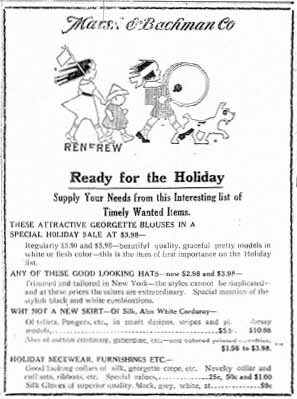 We think of special sales happening in connection with national holidays, particularly national holidays meant to be sober and respectful days of remembrance, as a fairly new thing, but this advertisement for a local department store, which appeared in the Hudson Evening Register on May 28, two days before Memorial Day in 1917, provides evidence that the practice has a longer history than might be expected. A hundred years ago, Memorial Day was observed on May 30, which was a Tuesday. On the Friday before Memorial Day, there was a show at the Playhouse here in Hudson to benefit the Red Cross. 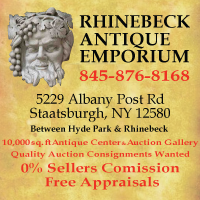 An article that appeared in the Hudson Evening Register the next day, on Saturday, May 26, 1917, reports that the show was a event was a huge success. 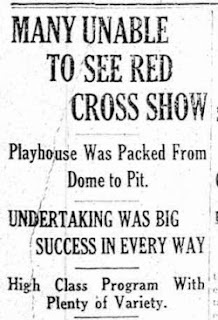 Various entertainments in the last five years have attracted great crowds to the Playhouse here, but the audience that witnessed the Red Cross benefit last night in that theatre was a record-breaker. Fifteen minutes before the performance started every seat in the orchestra row, and first balcony was taken, and nearly all the available space in the gallery occupied. By 8 o'clock hundreds of persons were standing up, and scores unable to obtain standing room. Every box was taxed to its capacity. The afternoon performance was largely attended, too. Practically every seat in the orchestra room was occupied, and there was a goodly number of persons in the balcony. Considering the large number of persons unable to see the show last night and being mindful of the splendid merits of the entertainment, we have no doubt but that the theatre could be packed to its capacity again to-night. Many requests for a repetition of the show have already been received. 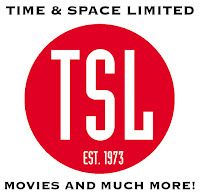 A remarkable success was the benefit, not only financially, but as an entertainment. The vaudeville bill possessed much variety, and each act was high class. It would be difficult to say which number was the best. One individual may prefer comedy, another may care more for "deep stuff," while a third may favor music and singing. The entertainment possessed all these elements, and a significant thing was the fact that the whole performance appealed favorable to the whole audience. Sprinkled through the entertainment was a sparkling vein of patriotism. We saw it in the first act, we found it very conspicuous in the artistic decorating scheme and again we found it being featured in a grand finale, in which Mrs. [Louis J.] Cornu, of New York city, who possesses a pleasing voice of remarkable range, sang a patriotic number, during which Mrs. Jeanette Harris and Miss Margaret Swift, bearing Old Glory and the Red Cross banner, appeared in a inspirational tableau. During each performance a plea for the Liberty Loan bond was made by Edward F. Swenson, of the Liberty Loan committee of New York. 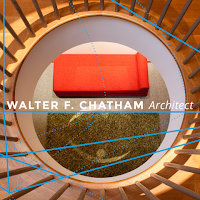 Charles A. 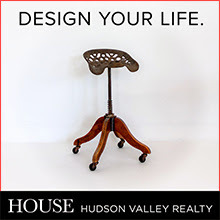 Van Deusen, president of the Hudson City Savings Institution, introduced the speaker in an exceedingly clever manner. 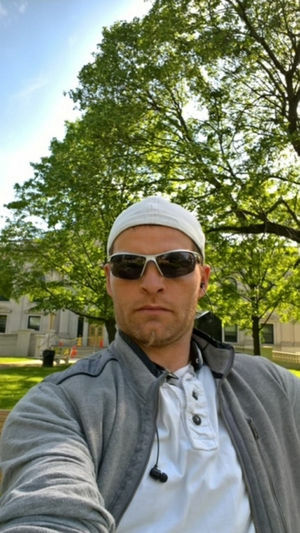 Mr. Swenson proved to be an eloquent speaker: he was convincing and drove home his points clearly and with great effect. Briefly he referred to the great part the Red Cross was taking in the war and then he launched upon the necessity of financing the struggle. 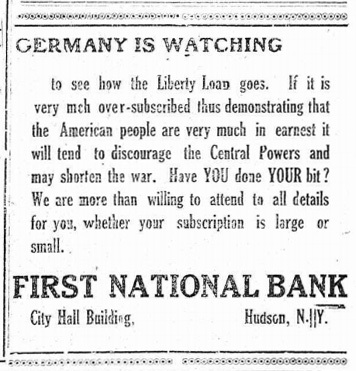 A Liberty loan bond in each home is the desire of Uncle Sam, and those who subscribe to that loan are performing a great patriotic service, the same as were those who were assisting in making the Red Cross benefit a success. He did not dwell on the patriotic side of the proposition alone. It was a great investment, and a wonderful propaganda for thrift. 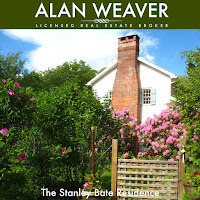 He explained how the banks in Hudson were helping to finance the loan by arranging an excellent installment plan. . . . The Playhouse, which seated 1,500, stood at 347 Warren Street. It was relatively new in 1917, having been built just five years earlier in 1912. The photograph below was taken in 1922. The date of the post card image is unknown. The Playhouse was destroyed by fire in February 1938. 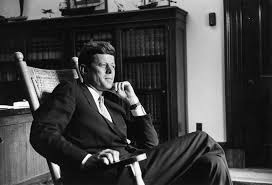 John F. Kennedy was born on this day a hundred years ago--May 29, 1917--in Brookline, Massachusetts. The Memorial Day parade has been cancelled owing to the possibility of rain. Instead, the ceremonies, which usually happen at the courthouse after the parade, will take place, beginning at 10:15 a.m., at Hudson Lodge, 601 Union Street. 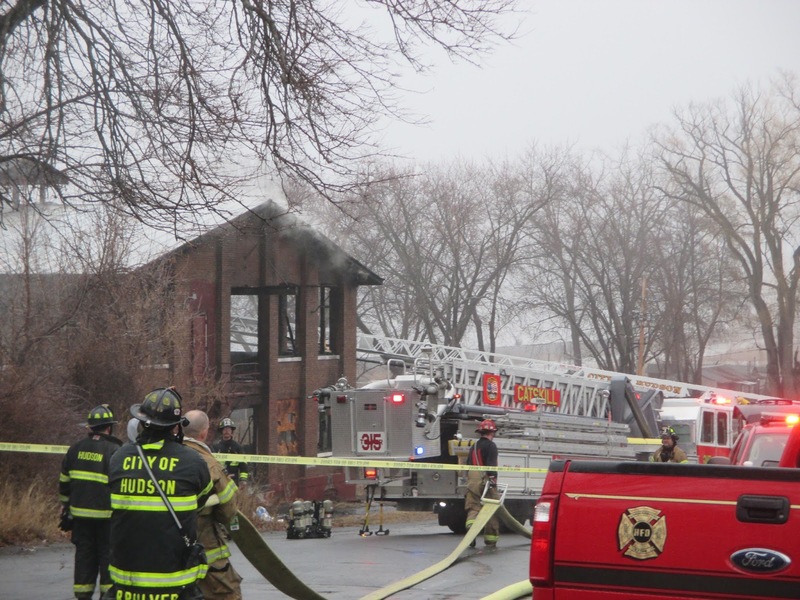 Bill Williams, of 98.5TheCat, reports that a 15-year-old girl has been arrested for burglary and arson in connection with the fires that destroyed the historic mill building belonging to Kite's Nest on North Front Street and a barn in Livingston: "Another arrest in Hudson/Livingston arson case." On Friday, May 25, 1917, the Hudson Evening Register announced the plans for the parade, which would take place on Memorial Day, May 30. 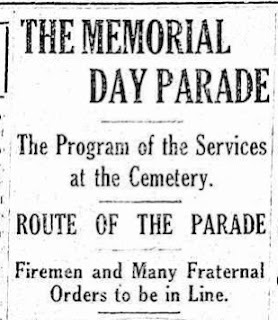 Since the Memorial Day parade for 2017 is happening on Monday, beginning at 10:15 a.m. at the Veterans Monument in Seventh Street Park and proceeding down Warren Street to Fourth Street and then across to the courthouse, it seems appropriate to recount the Memorial Day parade and ceremony that were planned for Hudson a hundred years ago. The following is the order of exercises for Memorial Day which will be held from the porch of Cedar Park chapel after the parades reaches there. The parade will start from the armory at 9 o'clock. Should the day be stormy, the exercises will be held at the City Hall. Order and Formation of Parade. The parade will form at 8:30 sharp. Fred Wheeler and Lieut. Conway, Aides. Hudson Police department, Sergeant John Cruise, commanding. Company F, 19th Infantry, Captain A. M. Best, commanding. Company H, 71st Infantry, Captain Frederick W. Vogel, commanding. 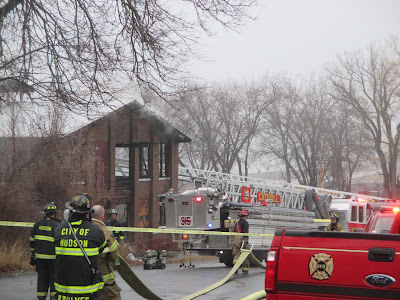 Hudson Fire department, David J. Barry, Chief; Robert S. Decker, first assistant; John P. Decker, second assistant. Edmonds Hose Co. No. 1, Harry Propst, foreman. Rogers Hose Co. No. 2, Clarence Worth, foreman. C. H. Evans H. & L. Co. No. 3, Emil Henkirk, foreman. Washington Hose Co., No. 3, William Griffin, foreman. Phoenix Hose Co. No. 5, Fred Houghtaling, foreman. J. W. Hoysradt Hose and Chemical Co. No. 8, George H. Armstrong, foreman. Carlton T. Harris, Mounted Aide. Co. F, 19th Infantry Drum corps. Hendrick Hudson Uniformed Rank K. of P. [Knights of Pythias], Geo. Reese, Captain. 23d Sep. Co. Veterans' Corps, Henry Waterman, Capt. Hudson Lodge, B. P. O. E. [Benevolent and Protective Order of Elks], No, 787, F. B. Wheeler, E. R. [Exalted Ruler]. Vittorio Emmanuel Society, Peter Monaco, Captain. Hudson Camp, M. W. A. [Modern Woodmen of America], No. 877, Neil M. Anderson, Consul. 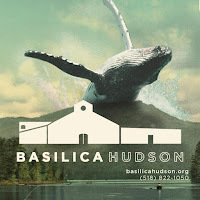 Hendrick Hudson Tent, No. 577, K. O. T. M. [Knights of the Maccabees], Leavitt Hoffman, Commander. Philip P. Martin, Mounted Aide. Hudson Cadet battalion, Stanley Onderdonk, commanding. Hudson Lodge, No. 1184, Loyal Order of Moose, John J. Moy, commanding. Knights of Columbus of Hudson, J. Harold Begley, Grand Knight. Raccoczy Society, Stephen Toth, commanding. The Thirteen Martyrs of Arad, Alexander Lutsky, commanding. The Christopher Columbus Society, Vincenzo Pantozzi, Master. Hudson Cadet Battalion Drum corps. Boy Scouts, Troop No. 1, M. E. [Methodist Episcopal] church, R. W. Rossman, Scout Master. Boy Scouts, Troop No. 2, H. S. Duncan, Scout Master. Boy Scouts, Troop No. 3, Mellenville, Bradford Shufelt, Scout Master. Boy Scouts, Troop No. 4, Episcopal church, Ernest T. Bond, Scout Master. Pupils of the High school of Hudson. Pupils of St. Mary's Academy, of Hudson. Christ Church Choir Boys, Ernest T. Bond,, Director. R. D. Lathrop Camp, No. 3, Sons of Veterans, Mark Cammer, Commander. United Spanish American War Veterans, William Churchill, Commander. Mayor Charles S. Harvey, Common Council, City Officials, clergy, and invited guests. Over Fifth to Union, down Union to West Court to Allen, down Allen to Third; over Third to Union, down Union to Front to Warren, up Warren to Park Place, Park Place to Columbia, to Cedar Park cemetery. The return will be made over Prospect avenue, down Warren and over Fifth street to the armory. 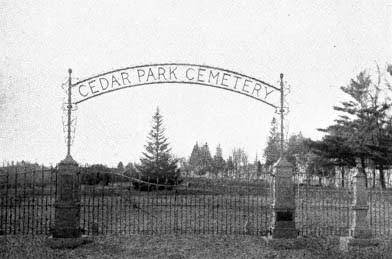 The following is the order of exercises to be held at the Cedar Park cemetery on Memorial Day, Wednesday, May 30. If rain prevents parade exercises will be held at City Hall. Prayer by Rev. D. William Lawrence, Chaplain, R. D. Lathrop Post, No. 138, G. A. R. [Grand Army of the Republic]. Singing--"Battle Hymn of the Republic." By Christ Church Choir boys. Prof. Ernest T. Bond, director. Reading of General Orders, C. S. Dept. of N.Y, G.A.R. by Eugene C. Secor, Adjutant of R. D. Lathrop Post 138, G.A.R. 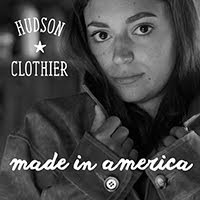 "America," by Hudson City band. Reading of President Lincoln's Address at Gettysburg by Mark Rosenthal, Secretary of R. D. Lathrop camp, No. 3, Sons of Veterans. Singing--"Tenting To-night." By Christ Church Choir boys. Reading Original Order No. 11 by General Logan instituting the observance of Memorial Day, by Henry M. Saulpaugh, Adjutant of Hudson camp No. 71, United Spanish American War Veterans. "Star Spangled Banner," by the Philmont band. Oration--Rev. Charles H. Murch, of the Universalist church, Hudson. Singing--"America." By Christ Church Choir boys. Benediction--By Rev. R. Irving Watkins, D.D., of the First Methodist Episcopal church. There's a rumor going around that Relish is closing. Gossips would love to report that the rumor is false, but, sad to say, it is true. What is not true is that Relish is being evicted from its location on South Front Street. 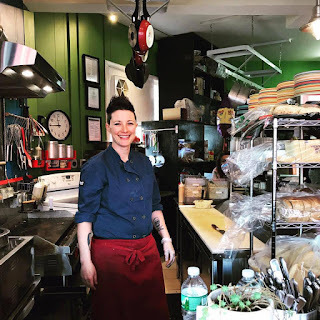 Dana Johnson, chef/owner of Relish, attests that the landlord, Kim Bach, has been nothing but wonderful and supportive. What is true is that, after five years of working 70 to 90 hours a week at a business whose success has succeeded her wildest expectations, Johnson wants a career change. 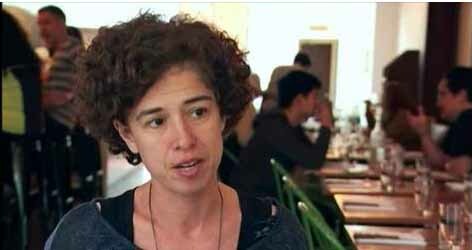 Johnson told Gossips that when she opened Relish, she expected to be serving lunch to about 50 people a day. It turns out, on any given day, as many as 175 hungry people find their way to Relish seeking breakfast or lunch, and Johnson confesses to having difficulty delegating. She's obsessive about the quality of the food she serves. 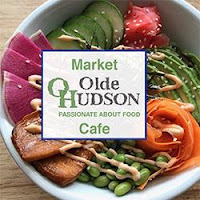 We in Hudson have the summer to get used to the idea of life without Relish. 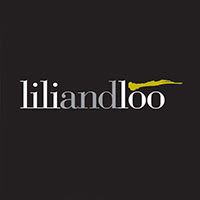 July 26 marks the restaurant's fifth anniversary, and on July 28, there will be a Customer Appreciation Party to celebrate. The last day of Relish is September 1. After that, Johnson will set off on a cross-country road trip with her wife, Rebeccah. She's not certain what's next, but she doesn't think she's ready to give up cooking. That's the good news. 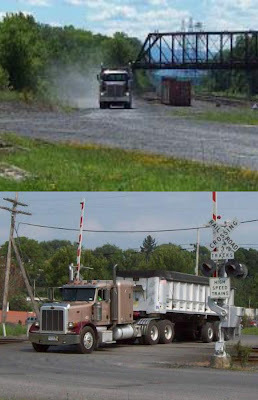 At the Greenport Planning Board meeting on Tuesday night, Ray Jurkowski, the board's consulting engineer, mentioned a floodplain permit as something missing from Colarusso's application for the haul road--the part of the haul road that passes through South Bay. This, to Gossips' knowledge, was the first time in the process that a floodplain permit has been mentioned. 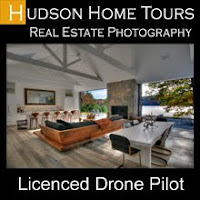 It was noted that this permit needed to be issued by Hudson Community Development & Planning Agency (HCDPA). 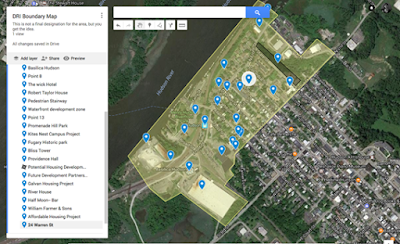 At the Greenport Planning Board meeting, P. J. Prendergast, the project engineer for Colarusso, asserted that the proposed haul road was in a floodway not a floodplain. Curious about the process for issuing a floodplain permit, Gossips attended the HCDPA meeting on Thursday. 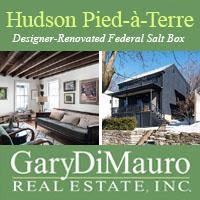 There it was revealed that it was David Clouser, the engineer now consulting with the Hudson Planning Board, who had made everyone aware of the need for a floodplain permit. Sheena Salvino, executive director of HCDPA, explained that a floodplain permit has not been issued in the six years since she has been here, and consequently she needs to research the permitting process. 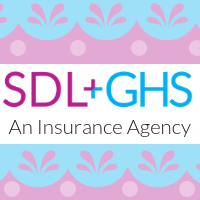 If information about the process cannot be found among the agency's records, a permitting process must be established. "Colarusso wants us to go faster than that," she said, "but we cannot go faster than that." She indicated that Prendergast was telling her that writing a letter would be sufficient. 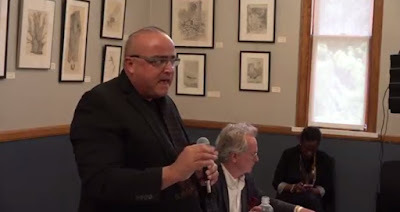 On the topic of flooding, at the Greenport Planning Board meeting on Tuesday, Planning Board member Michael Bucholsky asked about the impact of Superstorm Sandy on the road passing through South Bay. Prendergast asserted it was the same as Route 9G: "The water went up; the water went down"--implying that, after the water went down, the roadway was the same as it was before. These images, provided by the South Bay Task Force, tell a different story. Dan Udell's video of last night's affordable housing forum is now available on YouTube. On Thursday, Affordable Housing Hudson (AHH) held its second forum. Dan Udell was there, videotaping the meeting, and Gossips will make it known when that video is available. Meanwhile, we'll recount some of the highlights of the forum, which involved Brenda Adams from Habitat for Humanity, Jason O'Toole from the Galvan Foundation, and Anthony Laulette from the Hudson Housing Authority as panelists, and Peter Meyer as moderator. Much of what Gossips found noteworthy in the forum was offered by O'Toole, the director of property management for the Galvan Foundation. In his opening remarks, O'Toole he said, "The Galvan Foundation has been here since 2004." 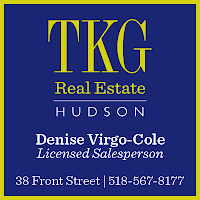 He must have meant that Eric Galloway and Henry van Ameringen, using various LLCs, have been acquiring property in Hudson since 2004, because the Galvan Foundation wasn't organized until 2011. He also said the Galvan Foundation provided 186 units of affordable housing. In that, he must have been talking about Galvan Housing Resources not the Galvan Foundation, or perhaps he was conflating the two. O'Toole also announced Galvan's commitment to creating 20 to 25 new units of affordable housing in the next three years, for families with incomes from 50 to 80 percent of the area median income (AMI), which for Columbia County is $74,900. 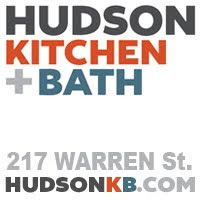 Having announced that commitment, he called for "a commitment from the City of Hudson to have a consistent PILOT (payment in lieu of taxes) program for nonprofit organizations who are providing affordable housing." At some point in the discussion, Meyer raised the issue of warehousing properties. Galvan and its associated entities now own about 70 properties in Hudson, many of which are vacant. O'Toole began his response by commenting, "We've heard this." He then explained, "Galvan deliberately bought houses to make sure they would be developed as affordable housing and weren't bought by other investors who had other plans." The irony is that many of the buildings acquired have been standing vacant now for a decade or more, providing housing for no one. A bit later in the meeting, Cedric Fulton, director of community engagement for SBK Social Justice Center, seemed to suggest that O'Toole's statement was disingenuous when who spoke of people he knew who were "forced to move because Galvan bought the house where they were living." 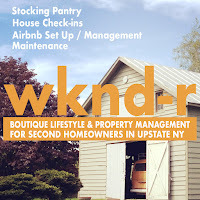 At some point in a discussion about the reasons for the shortage of affordable housing, the subject of Airbnbs came up. 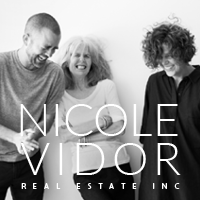 Kaya Weidman, executive director Kite's Nest, spoke of houses being turned into high-end Airbnbs. "Nobody should be getting rich off of housing," she declared. She suggested that Hudson's lodging tax should not go toward marketing the city for tourism but should be invested in affordable housing. The Airbnb phenomenon introduced, it was announced that the next AHH forum would be devoted to the issue of Airbnbs and the impact of short-term rentals on the affordable housing market. Update: An audiorecording of the forum can now be heard at the WGXC website. My apologies to readers who are accustomed to being notified by email whenever something new is posted on Gossips. I recently, along with everyone else who used Verizon for their email, was required to switch to AOL. Since then, things have not gone well. Just now, when attempting to send out a notice, I received an error message that concluded: "Too many recipients attempted in 24 hours. AOL will not accept delivery of this message." I scrupulously avoided exceeding Verizon's limits, because if I did, all email activity--outgoing and incoming--would be blocked for 24 hours. But since I have been unable to find any policy statement that indicates what AOL's limits are, I don't know how to stay within them. Until I can figure this out and remedy the situation, I am announcing all new posts on the Gossips Facebook page. If you want to follow that page, you can get notification that way, or you could, from time to time, just go to gossipsofrivertown.com to find out what's new. 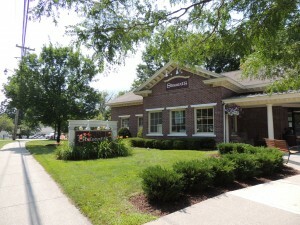 The issue of Stewart's Shops and their desire for Hudson to change its zoning to enable them to tear down two houses and build a new and bigger store, like the one in Chatham, at the corner of Green Street and Fairview Avenue, was discussed last night at the Common Council Legal Committee meeting. 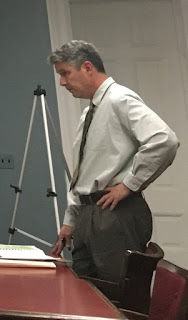 The meeting started out with Alderman Michael O'Hara (First Ward), who chairs the committee, telling his colleagues that he had sent a letter to the Stewart's representative informing him that the committee would not deal with the request separately but "would take it up in a redo of the comprehensive plan." Exactly when and how this "redo of the comprehensive plan" was expected to happen was not clear. Minutes into the meeting, Andy Howard, counsel to the Council, arrived, with different information and advice about proceeding with the Stewart's request. He told the committee he had spoken with Alderman John Friedman (Third Ward), who now chairs the Economic Development Committee, and recommended that the Legal Committee pass the issue to the Economic Development Committee for consideration. He suggested that it was necessary to "garner a sense of what the immediate community wants in that spot." Council president Claudia DeStefano, who sits on the Legal Committee, proposed that a survey might be developed to gather information from people in the surrounding neighborhood. 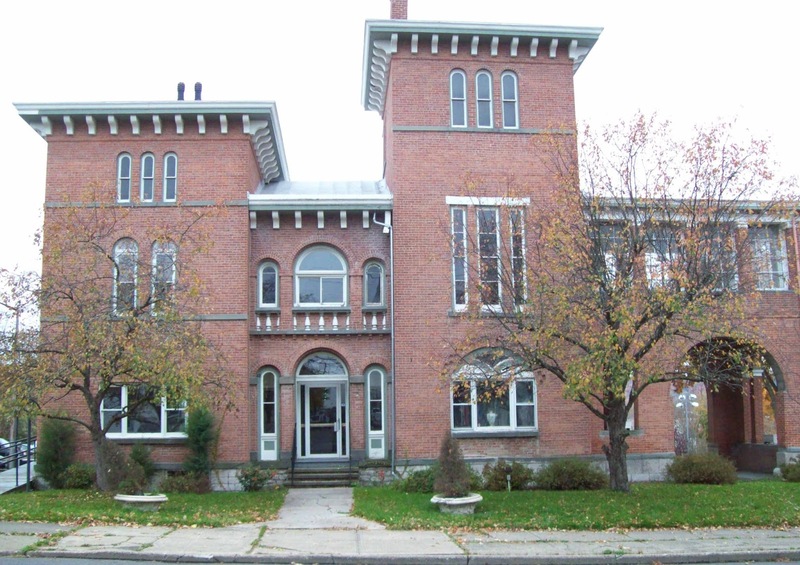 To demonstrate that there could be alternatives to the formula building being proposed for Hudson, Howard showed the committee a picture of the Stewart's Shops building in Manchester, Vermont, as evidence that, when a community insisted on it, Stewart's could build something that was more compatible with its location and architectural context. 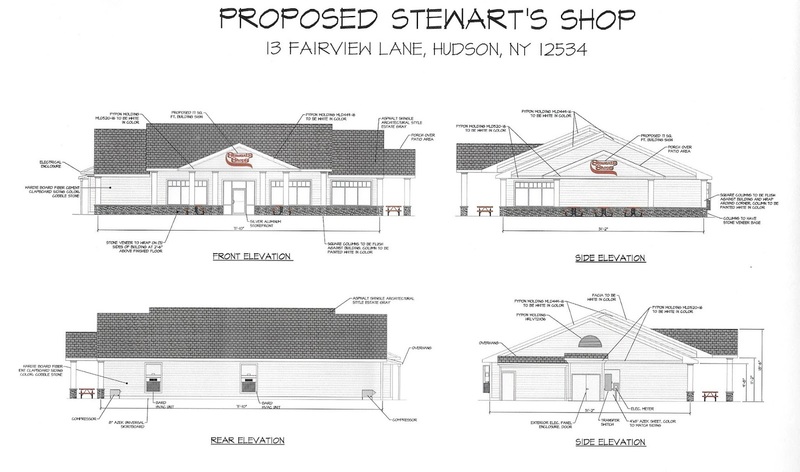 Howard also reminded the committee that the current Stewart's at Green Street and Fairview Avenue is, according to Hudson's zoning, a nonconforming use, and a nonconforming use, by definition, means, "We don't want it to stay there." 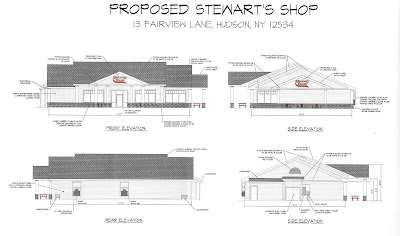 The discussion of the Stewart's request for a zoning change ended with the committee agreeing to pass the issue along to the Economic Development Committee. 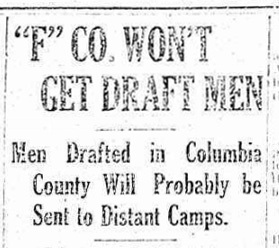 An article on the front page of the Hudson Evening Register for May 24, 1917, announced: "A tremendous campaign throughout Columbia county to get recruits for the "F" company of Hudson is about to be launched." 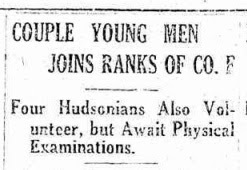 An article on the back page of the paper presented an argument for why young men should volunteer now instead of waiting to be drafted. If there are depleted ranks in the "F" company of Hudson after the Federal military census is taken on June 5, no man in the first quota drafted for military duty from Columbia county will be assigned to the Hudson unit of the Tenth regiment. The foregoing information, coming from reliable sources, was obtained to-day by the Register. The National Guard is still strictly a volunteer unit, it was pointed out, and the men who will be drafted from Columbia county will be sent to federal concentration camps. There will be no opportunity to pick one's regiment, it would seem from present indications. To the contrary, the individual will be assigned to a contingent where he is most fitted. Much significance can be attached to this information. It infers that a young man drafted from Hudson might be sent to a concentration camp in the south with men whom he had never seen or heard before. 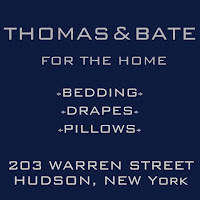 Therefore, it appears, the man who is holding back, thinking that if he is drafted he will eventually be placed in the Hudson company, is laboring under a wrong impression. There is but a faint possibility of the enactment of a law which would send Columbia county men to fill up the depleted ranks of company F, it was intimated to-day. 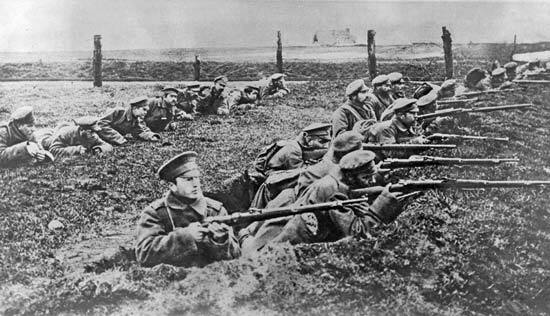 Young men, there are now many vacancies in the "F" company. Why not join it now VOLUNTARILY and when you go out to fight to help sustain the integrity of Old Glory, and battle for a noble and just cause, you will be shoulder to shoulder with a Hudson boy? The Register-Star reported this afternoon about a car crash that happened this morning on Route 66: "2 hospitalized after head-on collision." What the article doesn't mention is that one of the drivers, Rosa Acheson, is a reporter for the paper. The article indicates that, according to the sheriff's office, Acheson crossed the center line to avoid a small animal--understandable, indeed commendable--but in so doing collided with an oncoming car. The driver of that car is now in critical condition at Albany Medical Center. Acheson suffered a broken ankle. A terrible situation for those involved, and our thoughts and prayers are with them both. If at First You Don't Succeed . . .
Last year, Hudson competed for $10 million in Governor Andrew Cuomo's Downtown Revitalization Initiative (DRI) and was unsuccessful. 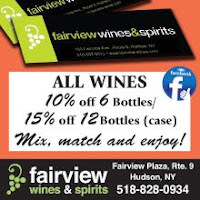 The $10 million for our region, the Capital Region, went to Glens Falls. 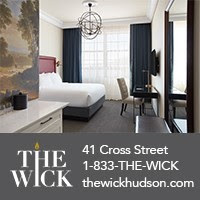 This year, there's a second round and another $10 million to compete for, and Sheena Salvino, executive director of the Hudson Development Corporation, thinks we have a good chance of winning this time. Last year, there was only $5,000 to spend in preparing Hudson's application. 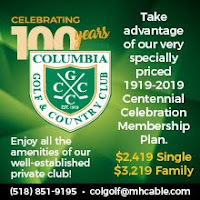 This year, the Common Council voted to allocate $10,000 for the purpose, and Columbia Economic Development Corporation (CEDC) is investing another $10,000, so there will be $20,000 to hire consultants to help develop the application. The DRI program emphasizes "using investments to reinforce and secure additional public and private investments proximal to, and within, downtown neighborhoods, and in doing so will build upon growth spurred by the Regional Economic Development Councils (REDCs)." Salvino revealed at an HDC board meeting yesterday that River Architects of Cold Spring has been hired as landscape architects to help prepare the materials to be submitted with the application, but she stressed, as she has before, that, should Hudson be awarded the $10 million, the first $200,000 to $300,000 must be spent on comprehensive planning. The deadline for submitting the application is June 14, and a public meeting about the proposed application is expected to take place sometime next week. Thursday, June 1, has been discussed as the date for that meeting, but it has not yet been confirmed nor has a place for the meeting been determined. The front page of the Hudson Evening Register for May 23, 1917, reported that the Elks had voted to canvass their members to raise money to buy Liberty bonds on behalf of the lodge, and the Odd Fellows had agreed to invest $500 in Liberty bonds. An article on page two reported that committees had been formed "to further the Liberty Loan bond sale here." The committees were made up of, and presumably intended to appeal to, Manufacturers (Malcolm and Arthur Gifford were among those serving on this committee), Professional Men (Samuel B. Coffin was one of the men serving on this committee), Business Men (J. Harold Wardle and Stanley B. Marsh were among those serving on this committee), Women and Retired Business Men (there were actually no women on this committee), Farmers (Arthur Farrand was a member of this committee), and Fraternal Organizations. 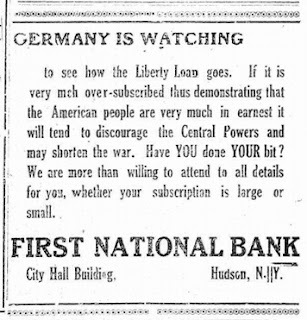 Meanwhile, advertisements, such as the one below, which also appeared in the Evening Register for May 23, urged people to demonstrate their patriotism by investing in the war. 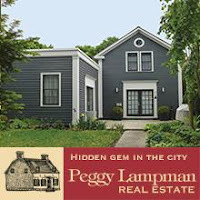 Affordable Housing Hudson (AHH), the group that organized the affordable housing forum that took place in February, is holding a second public forum tomorrow, Thursday, May 25. The panelists for this forum, which will be moderated by Peter Meyer, are Brenda Adams, executive director for Columbia County Habitat for Humanity, which has built about a dozen single family houses in Hudson in the past decade or so; Anthony Laulette, executive director of the Hudson Housing Authority, which operates Bliss Towers; and Jason O'Toole, who will be representing Galvan Housing Resources and Galvan Initiatives Foundation. According to the tax rolls, Galvan Initiatives Foundation owns sixty-one properties in Hudson, many of which are vacant residential properties. The forum begins at 5 p.m. on Thursday, May 25, in the Community Room of the Hudson Area Library, located in the Galvan Armory, 51 North Fifth Street. 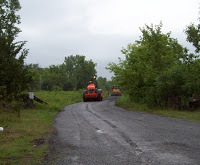 Last night, at the Greenport Planning Board, the review of the proposed haul road continued. It was revealed that the board is still working through comments submitted by David Clouser, the engineer now consulting with the Hudson Planning Board. Ed Stiffler, who chairs the Greenport Planning Board, asked about the dock and the decision of the Hudson Zoning Board of Appeals. 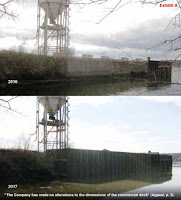 In his response, P. J. Prendergast, engineer for Colarusso, revealed that Colarusso will be complying with the ZBA's decision, and with Hudson's zoning code, and will be presenting the changes made to the dock for review by the Hudson Planning Board. Prendergast went on to do his usual presentation of the changes to the dock, reiterating the opinion that the work done was replacement in kind, not requiring Planning Board review. He asserted that the changes to the dock had a visual impact only to Rick's Point, a section of riverfront park that he described as a parking lot. He also noted, somewhat petulantly, that the dirt parking lot produced dust, and fugitive dust was something people complained Colarusso's industrial activity in South Bay and the dock produced. 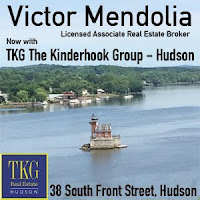 Stiffler requested that a copy of the application for the dock prepared for the Hudson Planning Board, as well as all documents, communication, and permits relating to the project, be submitted to the Greenport Planning Board. 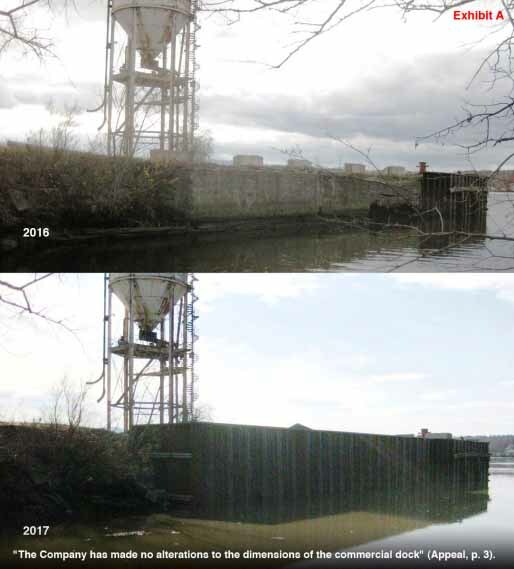 It is not clear if this means that the board has decided to expand the SEQRA consideration of the project to include the activity between the end of the haul road and the dock and at the dock, which is something the Hudson Planning Board was been urging. Stiffler also noted, speaking of comments received from the public, that "people are of the opinion that traffic and activity at the dock would increase" with the proposed haul road. Prendergast alleged, as he has before, that "the whole project is about getting the trucks off city streets." The question was raised if Colarusso's mining permit imposed limitations on the intensification of mining activity, and it was indicated that it did. JR Heffner, vice president of operations for Colarusso, noted that mining permits had to be renewed every five years. In the early days of the United States' involvement in World War I, a company of soldiers from New York City was guarding the railroad, and guards were stationed at the Churchtown dam and the reservoir on Mt. Ray to protect Hudson's water supply. 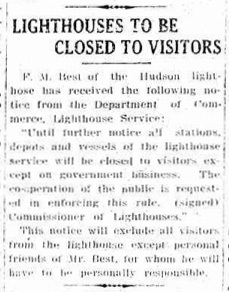 An item that appeared on the front page of the Hudson Evening Register for May 22, 1917, reveals that the lighthouses on the river were also subject to heightened security. 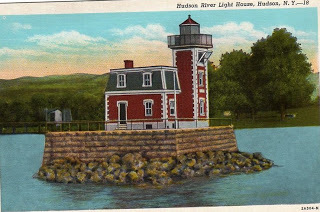 In 1917, the keeper of the Hudson-Athens light was Frank M. Best, who had taken over as keeper of the light when his father, Henry D. Best, retired. Henry was the first keeper of the Hudson-Athens light and lit the beacon for the very first time on November 14, 1874. In case you missed it, as Gossips did, Rosa Acheson reported yesterday in the Register-Star that Fred Starke has declared his intention to run for mayor: "Starke announces bid for mayor." According to the article, Starke's campaign slogan is "Making Change Happen." Starke, who is originally from Athens, across the river, and has lived in Hudson for 22 years, seems to have disdain for anyone who moved here from New York City and wants to take Hudson back to the way it once was. Starke is quoted in the Register-Star article as saying, "Now the people who built this town are living in Section 8 housing. They want change and I'm going to bring it. I don't care about the other people running because now it's my turn—I will be mayor in 2018." 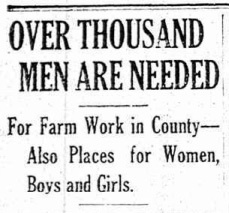 One hundred years ago, there was a need for men to fight the war in Europe, but there was also a need for men, as well as women and teenagers, to work on farms at home. But human resources were not the only resources that were in short supply as the United States prepared to send troops to France, as evidenced by this item which appeared in the Hudson Evening Register for May 21, 1917. According to the census taken by the New York State Food Supply commission Columbia county needs 1,163 laborers, of which 240 may be boys of high school age. 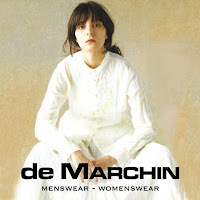 It needs 140 women for household help, of which 51 may be school girls. 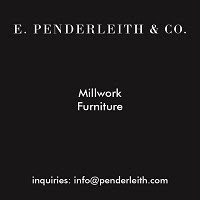 There are fewer hired men in this county than there were last year. The census shows 507 dairy cows wanted and 463 for sale. The heifer calves wanted number 293 with 146 for sale. The figures on sheep show 598 ewes wanted with 362 for sale. There were 166 work horses wanted and 176 for sale. Brood sows wanted numbered 88 with 75 for sale. The demand for pigs totaled 451 with 662 offered for sale. Figures on seed gave for alfalfa 136 bushels wanted with none offered for sale; potatoes, 3,475 bushels wanted and 1,230 for sale; field beans, 306 wanted with 20 bushels for sale; buckwheat showed 1,682 bushels wanted, with 211 bushels for sale; corn, 1,194 bushels wanted and 3,436 for sale; spring wheat demands were for 312 bushels with 6 bushels offered for sale. Further details of the census in this county and the names of those having seed and animals for sale may be secured from County Representative Roe, of the State Food Supply commission, whose headquarters are at Hudson. 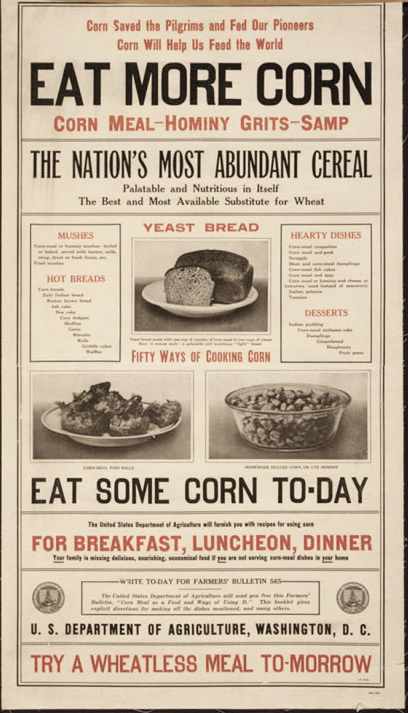 The shortage of wheat and the abundance of corn, in Columbia County as well as the rest of the country, inspired the U.S. Department of Agriculture to encourage people to eat more corn, with the message, "Corn Saved the Pilgrims and Fed Our Pioneers. 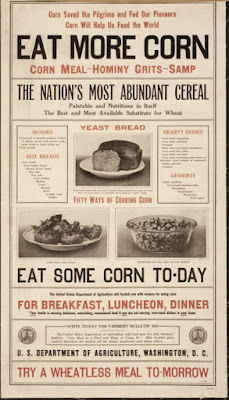 Corn Will Help Us Feed the World." 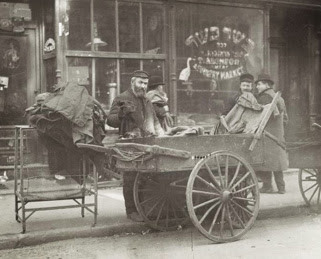 On Sunday, May 28, Hudson Hall presents A Bintel Brief: Sixty Years of Letters from the Lower East Side to the Jewish Daily Forward, a staged reading directed by Carol Rusoff. "A Bintel Brief," which is Yiddish for "a bundle of letters," was the name of an advice column that appeared in the Jewish Daily Forward for the greater part of the 20th century. The column was created in 1906 by Abraham Cahan, the editor of the Daily Forward, to help bewildered Eastern European Jewish immigrants learn about their new country. 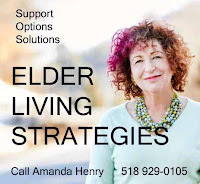 The column provided a forum for seeking advice and support in the face of problems and challenges ranging from wrenching spiritual dilemmas to family squabbles--predicaments that arise when old world meets new. Sunday's staged reading will feature live musical accompaniment and a diverse cast of actors who will bring to life the history, humor, and struggle of the Jewish immigrant experience. Carol Rusoff is known to many Gossips readers as the director of the Hudson Teen Theatre Project (HTTP) and Sarah Schaeffer's haunting solo performance, My Anne, adapted from The Diary of Anne Frank. 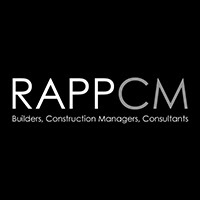 Rusoff talked about A Bintel Brief with Ellen Thurston on WGXC a week or so ago. That conversation can be heard here. 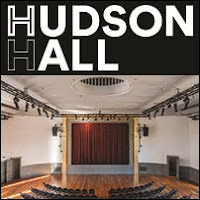 The staged reading of A Bintel Brief takes place at 3 p.m. on Sunday, May 28, in the West Room of the Hudson Opera House. Refreshments will be served following the reading. 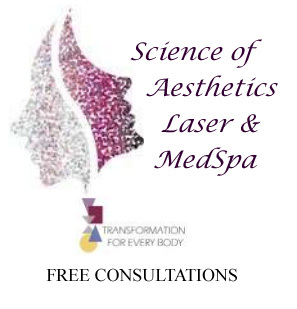 Admission is free, but reservations are strongly recommended. 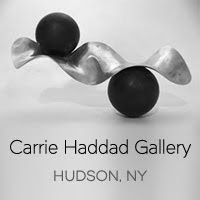 To reserve your place, visit www.hudsonhall.org or call 518 822-1438. It appears that either the passage of the Selective Service Act the day before or the article in the Hudson Evening Register calling on young men to do their patriotic duty and enlist had an effect. On the front page of the Evening Register for May 19, beside a headline that spanned two columns and announced all men between 21 and 31 were to enroll for the draft on June 5, the following article appeared. Recruiting for Company F is apparently picking up. Lester Brothers, a well known young man living at Greenport, has passed and is now a full fledged member of the local unit of the Tenth regiment. Mr. Brothers is a highly esteemed young man, and that he is very patriotic can be seen from the fact that he enlisted when the call for volunteers was made. Andrew T. Richardell, Robert MacDowell and Vernon E. Potts, all of Hudson. They have not as yet undergone their physical examination. Harold Ham, George Pratkowsky and James Alpino, all of Hudson, to-day enrolled with Co. F.
Want to Know . . .
when something new appears on The Gossips of Rivertown? Tell Gossips your email address and you shall. 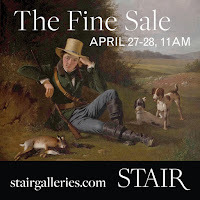 This blog takes its name from the 1848 novel by Hudson author Alice B. Neal. 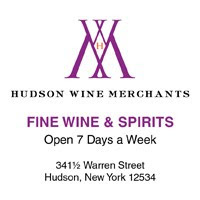 The original Gossips of Rivertown cast a gimlet eye on Hudson society in the mid-19th century. More than a century and a half later, the new Gossips carries on the spirit of the original, but in a different genre and with a different focus. How High Will It Rise? "Heigh ho! Come to the Fair!" COPYRIGHT 2019 CAROLE OSTERINK. Simple theme. Powered by Blogger.